Greens are really pretty good when you think about the amount of rounds and college kids who abuse them. Great walking course to boot, don't think it's tough, step back on the tees, after all it host a college golf team, you'll notice the length. 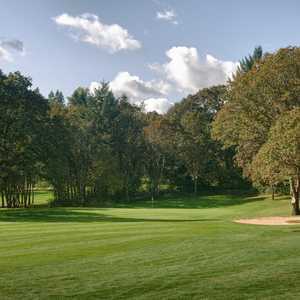 Great place, pace of play is great if you are there before 9 AM as well, early walking rounds in the summer are prefect. 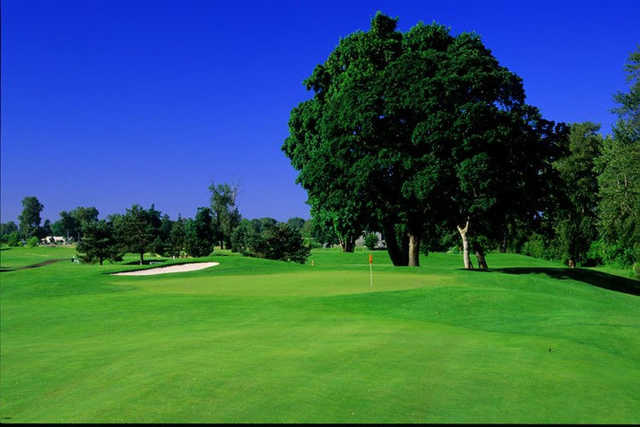 Trysting Tree was a very fair and fun course, large greens and wide fairways. 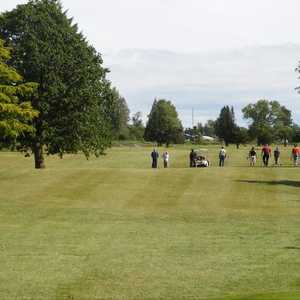 This can be a very challenging track if you play from the blue tees which we did. 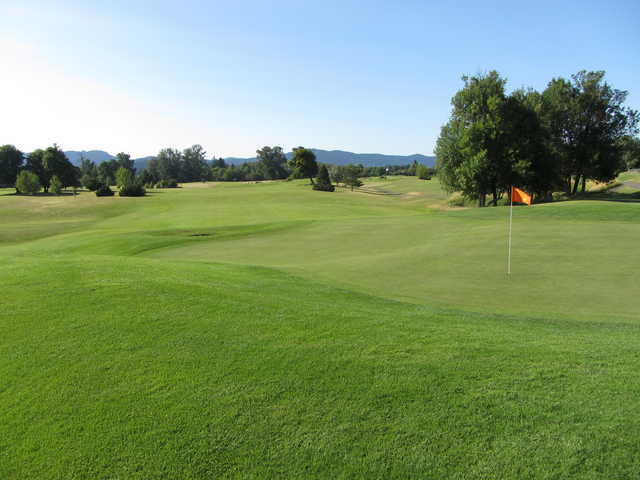 the greens were very fast and smooth which is unusual for a public course that is played as much as this one is. Staff was friendly, food was typical course faire. I will be back to play again soon. On rare occasion, the experience with service and staff is so incredibly bad , it can overshadow the course itself. We had a 5-some on Dad's Weekend in Corvallis. From the initial phone call to set a tee time, the resident golf pro (guy with a blonde mullet) was short with us, and surprisingly rude. We came in from out of town to see our sons in Corvallis, so we needed to rent clubs. They rented us 3 bags of clubs, and they were absolute garbage. Two of the drivers were broken and unusable, forcing us all to share. I've golfed alot across this great nation of ours, and have yet to experience a snottier, ruder, and less enthusiastic staff in my life. The course itself was mediocre at best, and you could tell they put the same level of enthusiasm into the groundskeeping. Leaves and goose crap everywhere. 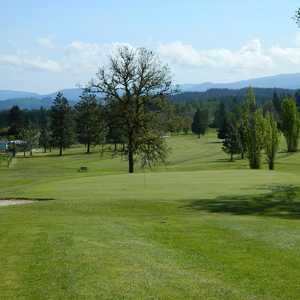 If you're looking for a place to golf in Corvallis, I'd definitely skip this one. Nice public course. Choices of courses in Corvallis are limited. Wide fairways are mostly forgiving. 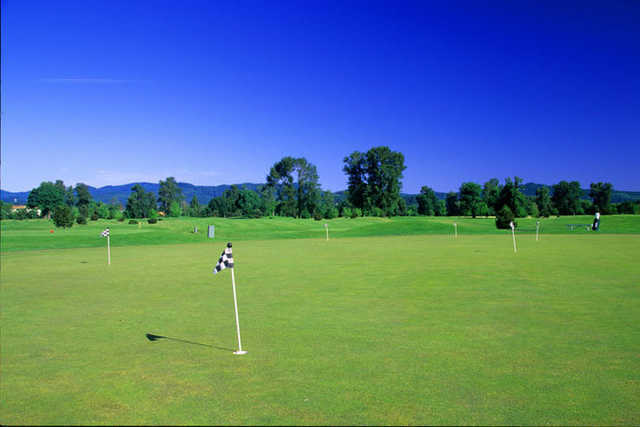 The course is well kept but not very challenging. The men in the club house are some of the rudest people I have ever met. They act like you are wasting their time, and the "power" of working at a golf course goes to their head. There driving range balls are always out, and very overpriced. They have poor time management between tee times, and are constantly hassling people on the course. 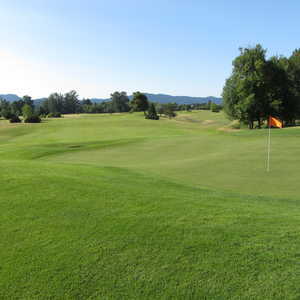 There is another golf course close by that is far superior, a little hidden gem called Marysville on 2020 Sw Allen a dirt road out of Avery park. good shape.. greens are excellent. Excellent public course. Not exceptionally challenging, but long holes and fast greens keep it really interesting. Very affordable to boot.